Shortly after midnight last night, the skies finally cleared of clouds (days after the supermoon), and I was woken up by bright moonlight coming through in the bedroom curtains. I usually leave them parted six inches for nights like these, and the strip of light fell perfectly aligned with my clear bar of ice-selenite on a small table by the window. This may or may not be relevant to what happened after: three dreams, one after the other. The last one was the most celebratory: My daughter and I were at a fairy frolic. It was an indoor and outdoor party with beings all with fairy wings. Sometimes I knew they were real, sometimes I wondered if we were around people who just really knew how to dress up and party. I felt like I was safe and among neighbours (not the first time for myself nor my daughter, in our fairy-related dreams). At one point, I was amused to find my usually indefatigable seven-year-old fallen asleep face down near some pillows. In the dream, I bent down and picked her up to arrange her more comfortably on her side (this is important), before wandering to the garden outside to gawk more at fairy clothing. Their clothing and shoes had a lot of attention to detail–in fact I found myself admiring their shoes quite a bit, and wondering about artists’ images of barefoot fairies–there was not a naked foot to be found in the crowd. 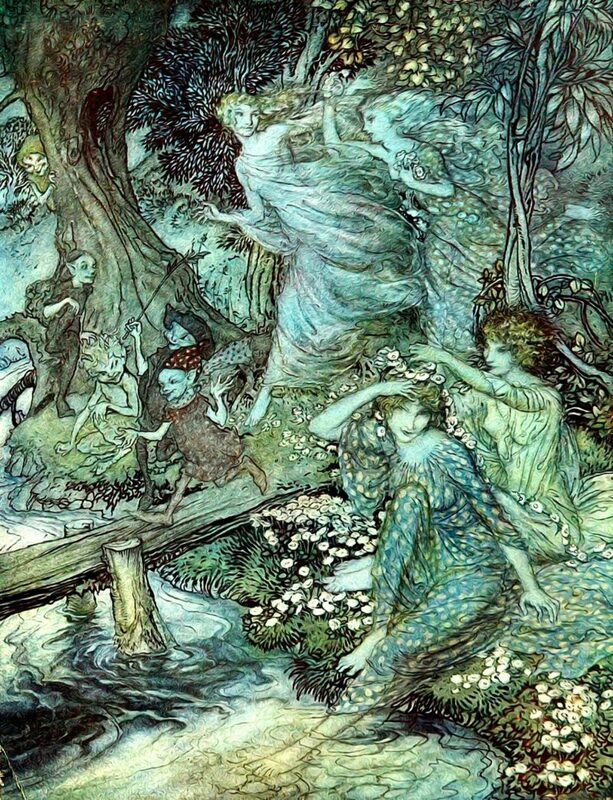 The most informal footwear to be seen were the fairy flip-flops–but even those were made out of intricately cut and stitched leather, and had a rather magical feature near the heels that allowed them to glide or bounce as the wearer wanted, in addition to walking. Now, I am a Virgo. I am expected allowed to have a shoe fetish. And I really wanted a pair of those slippers. They looked pretty, comfortable, and fun. I inquired about them and was directed to a shop, in which I found all manner of clothing and kitsch, but no slippers. Disappointing, but not too big a deal. “You first,” I prompted her, because she doesn’t recall her dreams as clearly or as regularly as I do. The detail of the slippers, and her act of sleeping and being disturbed from sleep by my dreaming self–this strikes me as a dream bleed-through, even possibly sharing the same dream in the fairy or astral frequency. 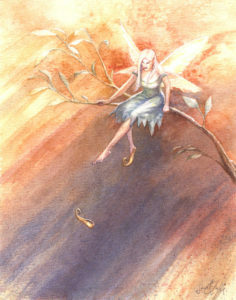 (Both of us have also had lucid dreams involving our “fairy neighbours”.) I won’t rush to explanations or conclusions of what happened, but it’s a fun coincidental experience all the same. I’m definitely grateful to their friendliness and inspiring fashions.